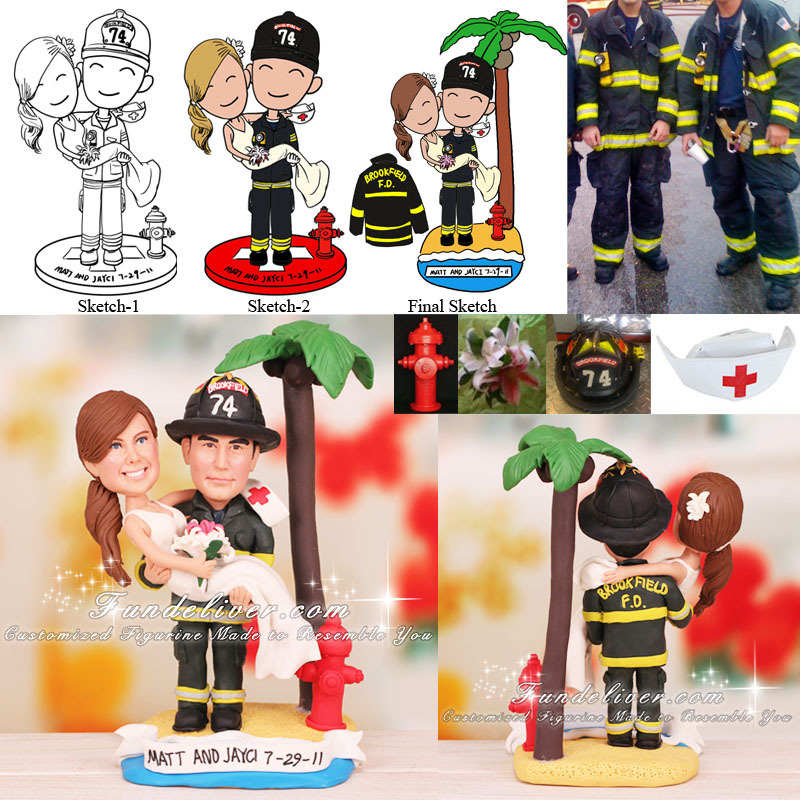 This is a completely customized nurse and firefighter wedding cake topper ordered by a great mother for her daughter. Her future son-in-law is a firefighter and she would like him to be in his fireman gears with firefighter helmet on his head. Her daughter will be graduating nursing school this December, so she would love to incorporate a nursing cap in her hand. She would like the bride to be in the groom's arms, wearing an ivory sweetheart dress and holding a bouquet of flowers in her right hand. She has short hair now but plans on having extensions for the wedding, which explains why the bride’s figurine has above hairstyle with an elegant flower on. Since they are getting married in Key West, she would like a beach theme base with the ocean on one side and the sandy beach on the other. Also, she would like to add a fire hydrant and a palm tree on the base to accent the touch of firefighter and their wedding location. 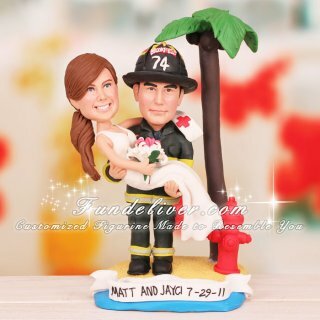 Having a firefighter and nurse theme wedding and looking for a matching nurse and firefighter cake topper? This one will be a perfect choice.